This is my outfit of the day from yesterday. I meant to actually post it yesterday, but Tuesdays are my longest days filled with school and work so I didn't get a chance to post it. I just started easter break so I can get some more posts in! I can't believe this semester is finishing so fast! About six weeks till graduation, and seven weeks till my review courses start for the CPA. It's going to be a crazy summer of studying for me, but in the end I'll be Hani Hulu, CPA! Inshallah (God Willing) Anyways, here is my paisley inspired outfit. Top, vest and jeans are all from Forever 21. The top is from the Love 21 line and the jeans come in many different colors for only $15. My Coach loafers are from Nordstrom and my paisley hijab is from H&M. 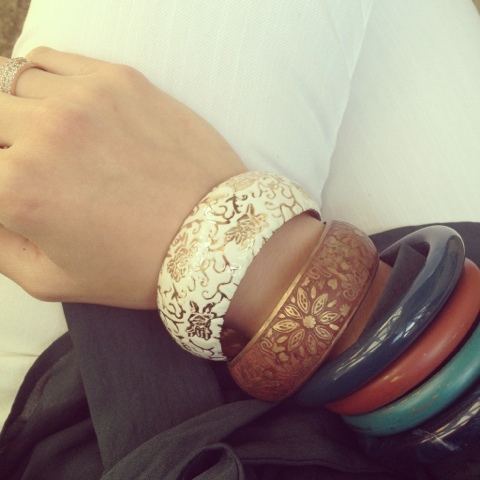 I've been getting in the habit of wearing stacked bangles which are inspired from my sista Riham! Make sure you check out her blog listed on the side of my page under 'Hijabie'. Thanks for the love sis! I love this outfit! Anonymous- If you are coming on here to be negative and make comments like that , then please refrain from making any comments at all. This is a positive place, and it is her blog and her outfit. 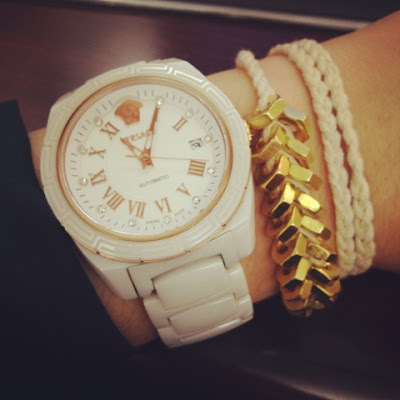 Everyone's style is different, if you dont like Hanyeh's style than maybe you are at the wrong blog. If you dont have anything nice to say, than dont say it!